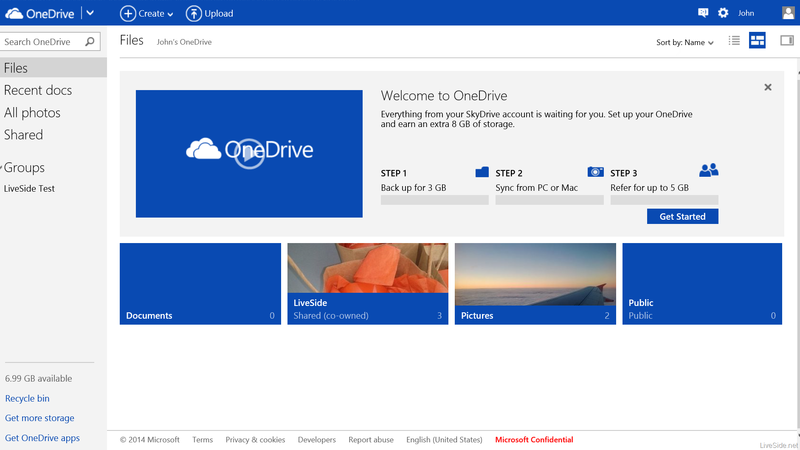 Microsoft OneDrive (SkyDrive) will offer 8 GB of extra storage for users when they complete some simple tasks, similar to how Dropbox asks its users to share referral links with friends. Microsoft is said to be planning a referral bonus of up to 5GB, which is made up of 500MB for each friend you refer to OneDrive, up to a maximum of 10 friends. OneDrive users will receive the free storage for referrals, and friends who sign up to the service will also get 500MB each. A second "bonus offer" involves extra storage for using the camera roll feature of the iOS, Android, or Windows apps to backup photos to the service. 3GB of extra storage will be applied to any accounts using the camera roll feature. I hate referral links but I'll definitely get that 3 GB camera roll bonus. 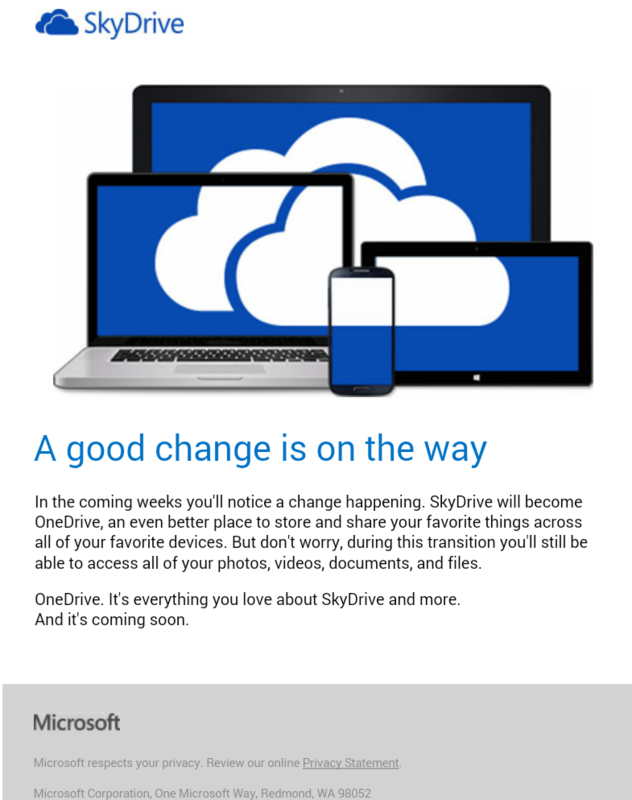 Microsoft is sending this email to all the SkyDrive users. 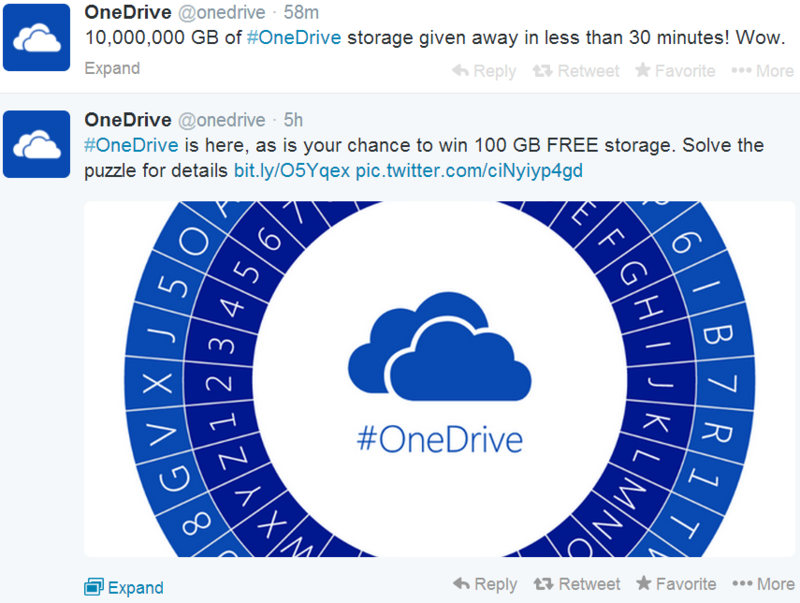 Don't know why but just got 100GB OneDrive Bonus for a entire year. I really wanted to know too, maybe my account bugged!? Are you sure you didn't participate in the 100 GB giveaway? I almost don't use the Tweeter, so I dind't know the giveaway. Seams like I was one of the first 100.000 Users to log in i the new OneDrive so I got the bónus, or some say! 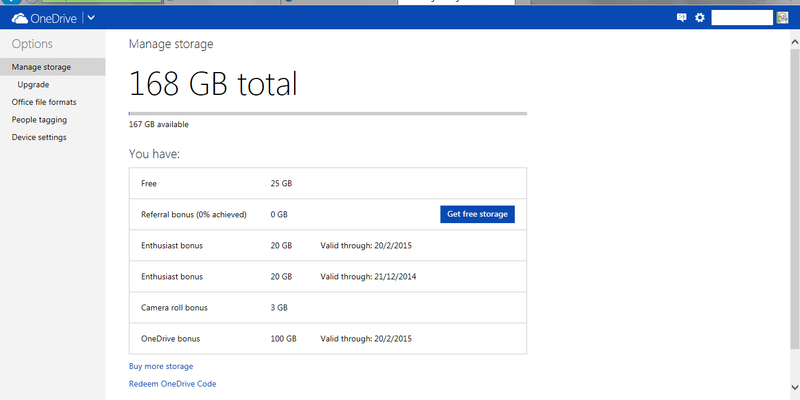 I totally need more OneDrive storage.